Wind turbines, or wind energy converters, are a renewable source of power that many people believe is the way of the future. These wind-powered electrical generators function by converting the wind’s kinetic energy into electricity that can be used to power entire cities or states. By their very nature, wind turbines can be astoundingly huge–but just how big and powerful can the most impressive turbines get? Today we’ll be taking a look at 8 of the largest wind turbines in the world and learning about the applications of each one. Wind turbine sizes are best compared using a combination of rotor diameter and their power rating in Megawatts, so we’ll be sorting this list accordingly. The Adwen AD 5-135 wind turbine has made its primary appearance in the Wikinger offshore wind farm project, and is the largest wind turbine installed by the company thus far. This project serves as the grand entrance of Spanish energy and utilities company Iberdrola into the German electricity market. As long as everything goes according to plan, the Wikinger wind farm is tentatively set to open in the year 2020. The impressive Adwen AD 5-135 was originally designed by the German engineering consultancy Aerodyn. Specially engineered to not overturn when encountering turbulence in its offshore environment, the Hitachi HTW5.2-136 is a trailblazer in Japan’s offshore wind power development industry. Continued development in this area is slow, meaning that serial production of these massive wind turbines is yet to come. The Hitachi HTW5.2-136 was specially developed for the Kashima Port projects. Kashima Port is the first water-based renewable energy initiative of its kind in Japan. 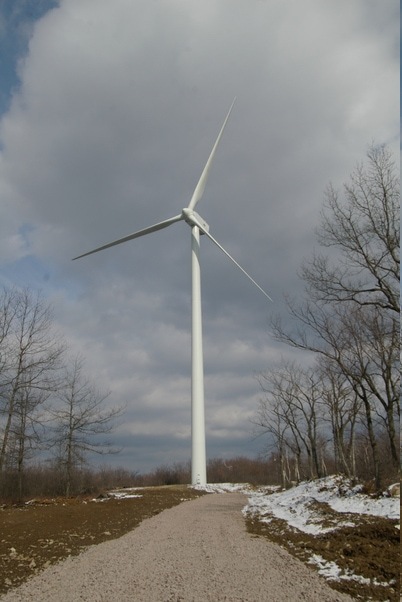 This mammoth wind turbine offered by one of South Korea’s best and largest manufacturers, Doosan Heavy Industries & Construction Co., serves as a symbol for the country’s goals for an efficient, renewable future. 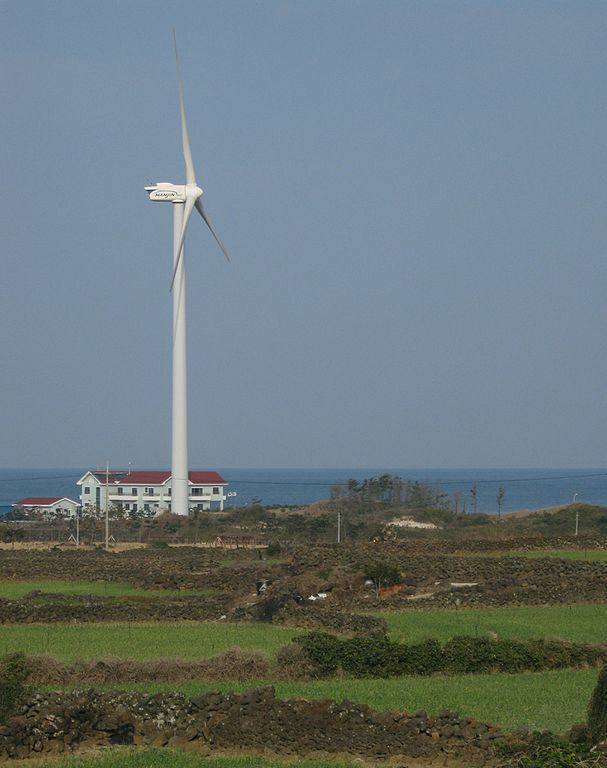 In 2007, Doosan and Mitsubishi Heavy Industries entered into an agreement that would allow Doosan to produce wind turbines, and the resulting prototype was established on Jeju Island. South Korea maintains a partnership with The American Superconductor Company (ASMC), ensuring that AMSC is the only supplier of electric control systems for Doosan’s turbines. 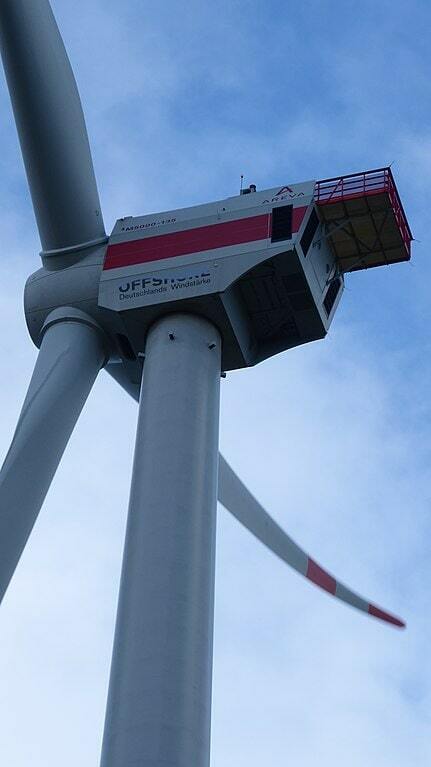 This towering turbine was designed by the German engineering company Aerodyn and manufactured in China. The Ming Yang SCD 6.0 is designed for use offshore in deep water, and built with enough durability to withstand hurricanes and typhoons. The SCD 6.0 is manufactured by the Guangdong MingYang Wind Power Industry Group and has three blades as opposed to the two-bladed structure sometimes utilized by competitors. This impressive wind turbine can turn out enough power to equal that of around 5,000 homes! In fact, several GE Haliade 150-6MW turbines power the entire state of Rhode Island. 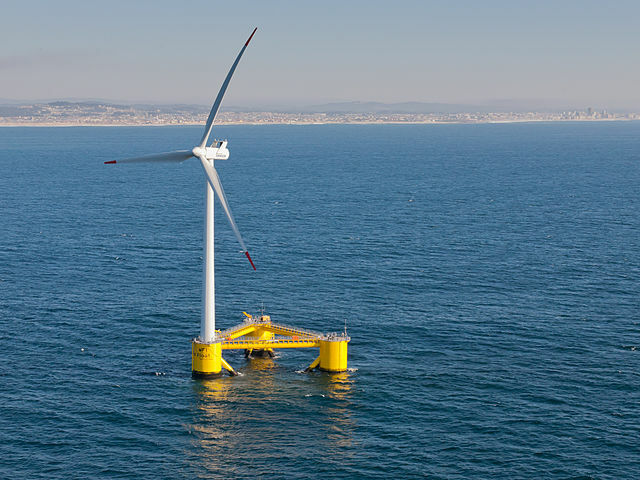 They are installed on Block Island, where the state of Rhode Island designated the Deepwater Wind company to construct the Block Island Wind Farm. While the GE Haliade 150-6MW wind turbine is already staggering in size and has proven itself efficient, an even bigger successor is already in the works: the 12MW Haliade-X. This predominantly offshore wind turbine emerged in 2014, with the largest rotor diameter on the market at the time. 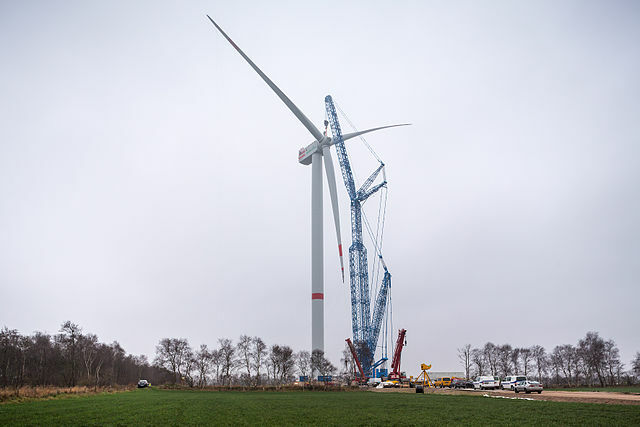 The Senvion 6.2M152’s hefty rotor diameter allowed for a 20 percent higher energy yield than its predecessor, making it a promising prospect in terms of efficiency. 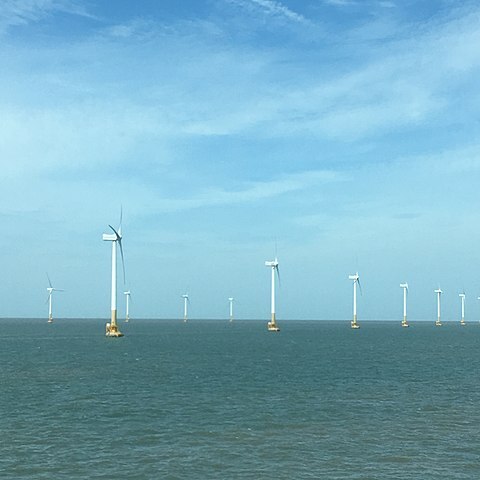 The Trianel Windpark Borkum II Wind Farm is installing 32 of the competitive, high-yield Senvion 6.2M152 wind turbines in order to generate as much power as possible. The Siemens Gamesa SG 8.0-167 DD is an offshore wind turbine, and was rated “Best Offshore Turbine for 2018” by Windpower Monthly. The prototype of this massive wind turbine was installed at Denmark’s National Test Centre for Large Wind Turbines in 2018. This pioneer turbine was one of nearly 800 units that were ordered since the SG 8.0-167 DD was launched in 2017! 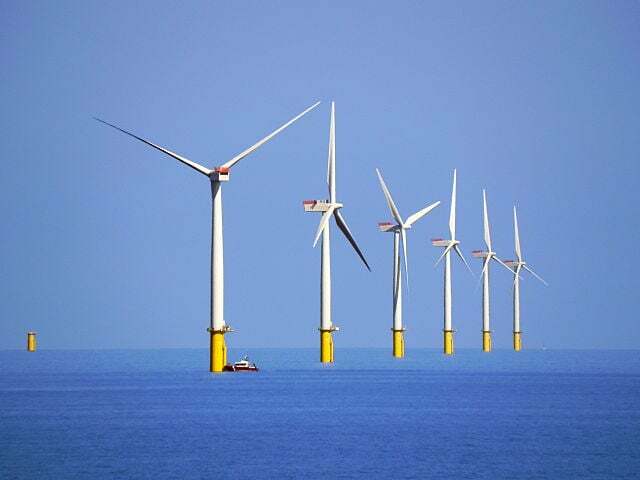 The Siemens Gamesa Renewable Energy company has embarked upon the project of supplying 1,386 turbines to Ørsted, a Danish energy group that has awarded them exclusivity. 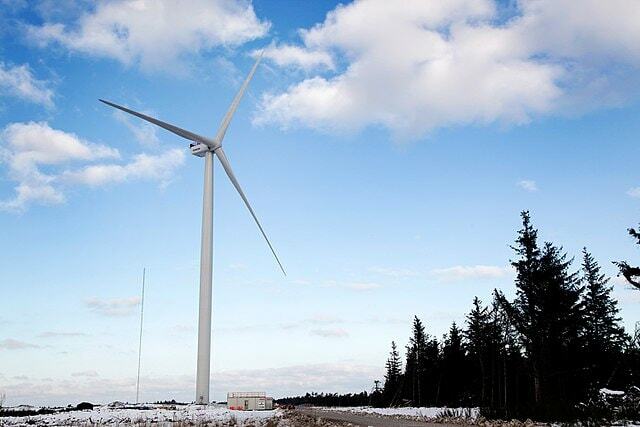 The MHI Vestas V164-9.5MW is the largest wind turbine in the world by power rating. The first of this series was called the Vestas V164-7.0MW, and went through a series of upgrades until its turbine capacity was finally upgraded to 9.5MW in 2017. This record-holder might only have a few years left at the top! During the September 2018 Global Wind Summit, Vestas unveiled plans for an even bigger turbine to be made commercially available sometime around 2021: the V164-10.0 MW.